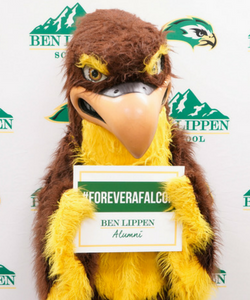 Ben Lippen Alumni and their Falcon children recently celebrated the beginning of a new school year at the annual Legacy Breakfast. This year Ben Lippen experienced a 21% increase in second or third generation families, and we couldn’t be more thrilled. Guests enjoyed Duck Donuts and Grace Coffee, a welcome from Headmaster Tony Fajardo, and a photo session with Talon. It was a great time of fellowship for former alumni and their families. The Ben Lippen family is so excited to continue to grow this group of legacies!